Home / Google / News / Engeneer salary at Facebook Vs Google Vs Cisco ? 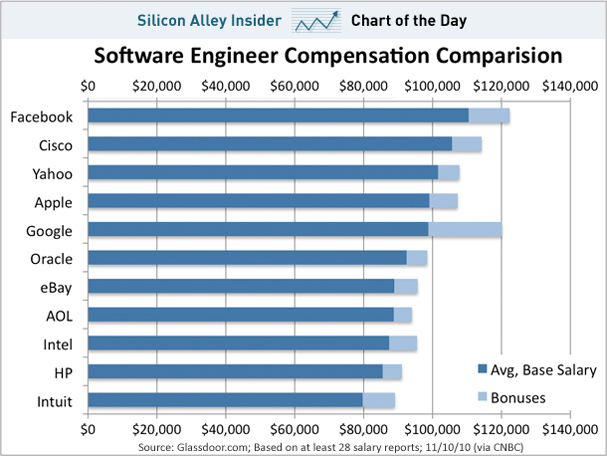 An engineer job in Silicon Valley is quite competitive in between the companies you mentioned. It is the corporate benefits that sets them apart. I always have to get a loan just to get by.